The I-shape Mini Garden gives you a perfect way to enjoy growing plants inside. It helps you to get fresh vegetables easily at home and enjoy a healthier life. It is with a classic design, adjustable height, and automatic lighting system. LED full-spectrum plant light, can efficiently help plants grow faster meanwhile comfortable to human eyes to see the light. The new I-Shape design inherits the concept of minimalism, less is more. Automatically 16hours on and 8hours off, this mode make sure plants absorb enough light to do photosynthesis and enough time to rest. It makes great night lights if they happen to be on at night when you walk into your kitchen, living room etc. 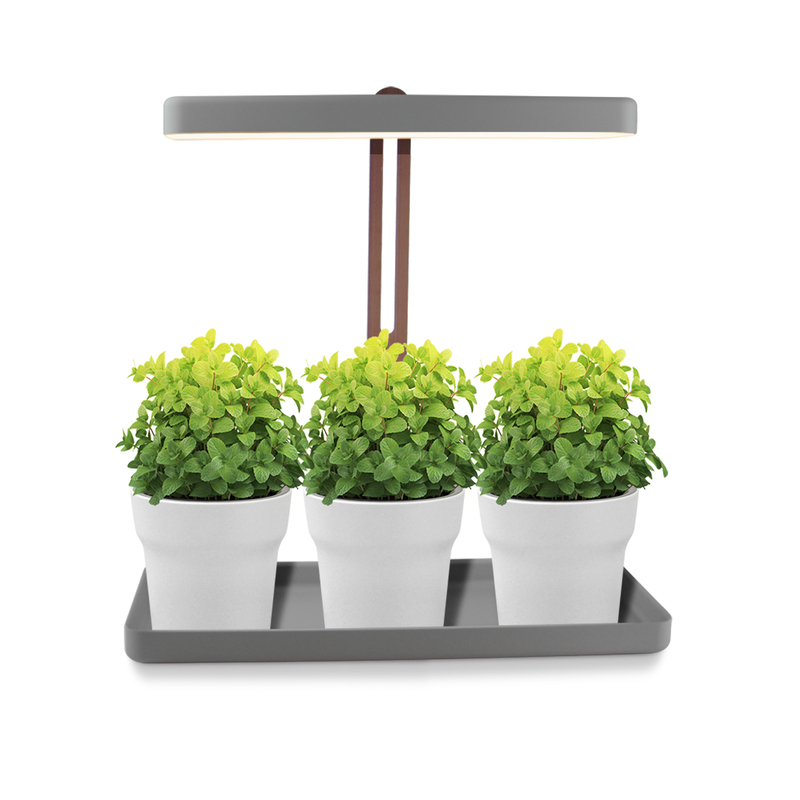 Adjustable height function enable the light adapt to plants in the growing process, offer enough light and space for plants.